Okay, I admit it. I’m kind of obsessed with coleslaw. But come on, what is there not to love about it? 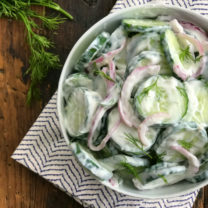 It’s the perfect side dish with every summer meal. You can serve it up with burgers and dogs at a cookout…use it as a topping for my Pulled Pork Nachos…spoon it over my Slow-Cooker Spicy Buffalo Chicken Sandwiches. 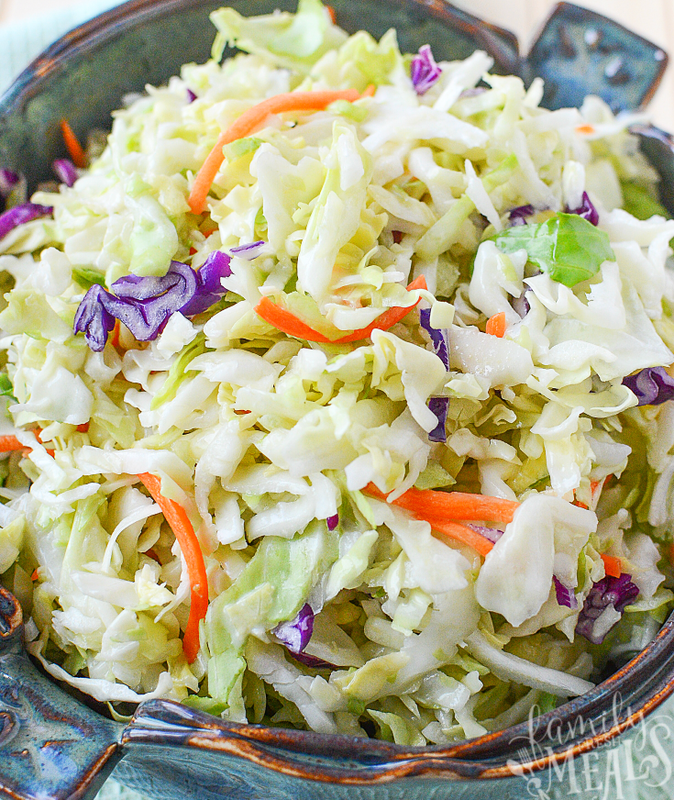 Coleslaw can do anything. But in all this time I’ve been raving about my love for coleslaw, I’ve never actually told you about how I make it. And it matters. The consistency of the dressing, the amount of sugar, how long you chill the coleslaw…all these little details make the difference between a good coleslaw and a perfect coleslaw. 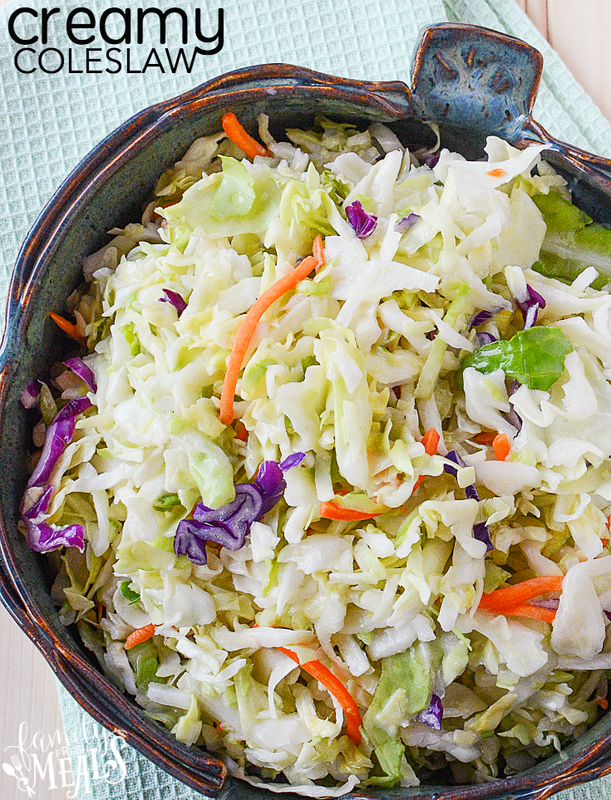 The right way to make coleslaw is to start with a mixed bag of veggies – mostly green cabbage, but with a little red cabbage and carrot and onion thrown in. 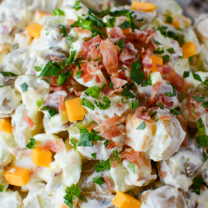 The dressing should be creamy and tangy, sweet but not too sweet. And it needs to be chilled a good two hours, so all the flavors can blend to perfection. 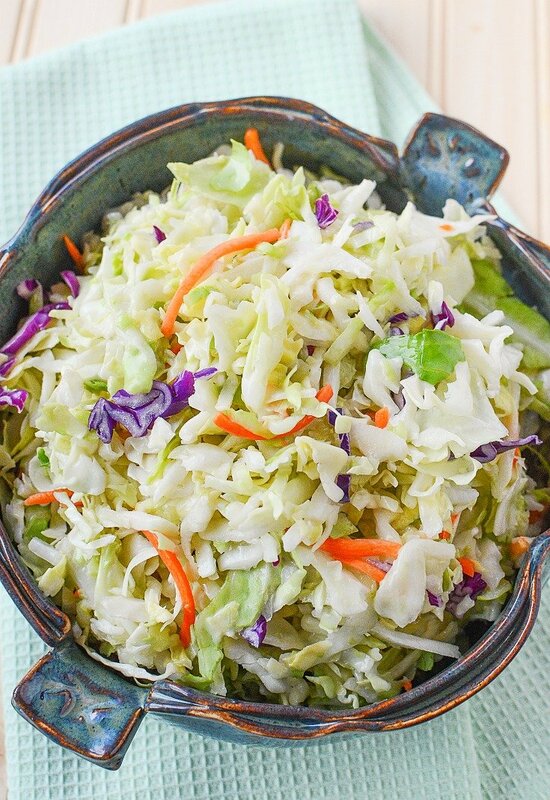 This, my friends, is a coleslaw worth obsessing over. 1. Combine the coleslaw mix and onion in a large bowl. 2. 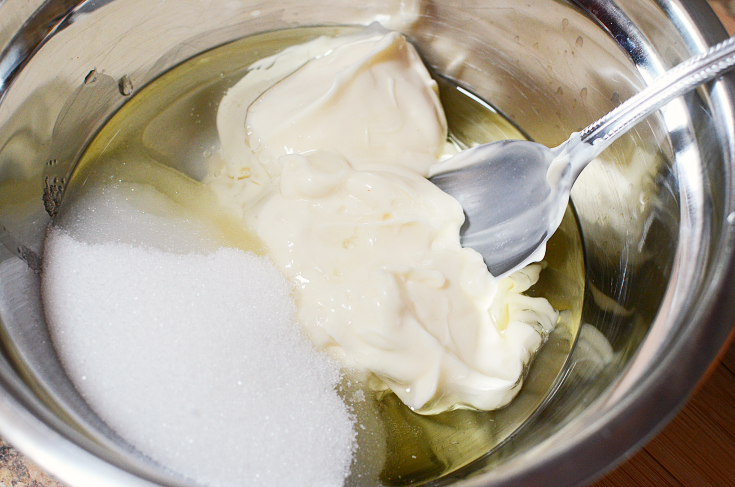 Whisk together the mayo, vegetable oil, sugar, vinegar and salt, in a medium bowl; blend thoroughly. Pour dressing mixture over coleslaw mix and toss to coat. Chill at least 2 hours before serving. 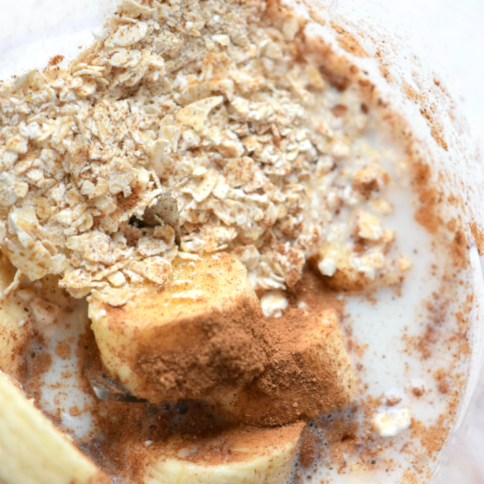 Whisk together the mayo, vegetable oil, sugar, vinegar and salt, in a medium bowl; blend thoroughly. Pour dressing mixture over coleslaw mix and toss to coat. Chill at least 2 hours before serving. 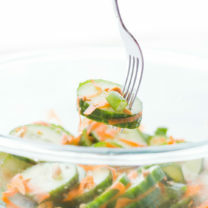 Coleslaw dressing is, in my opinion, the most important thing about a coleslaw. It is what makes it extra delicious. And this dressing is my favorite part. Thanks for sharing your recipe.